The Puerto Rican artist, Lary Over is one of the new talents of the urban genre who have given more to talk about, not only for becoming a true musical revelation, but for their particular behavior and bizarre ways of dressing. 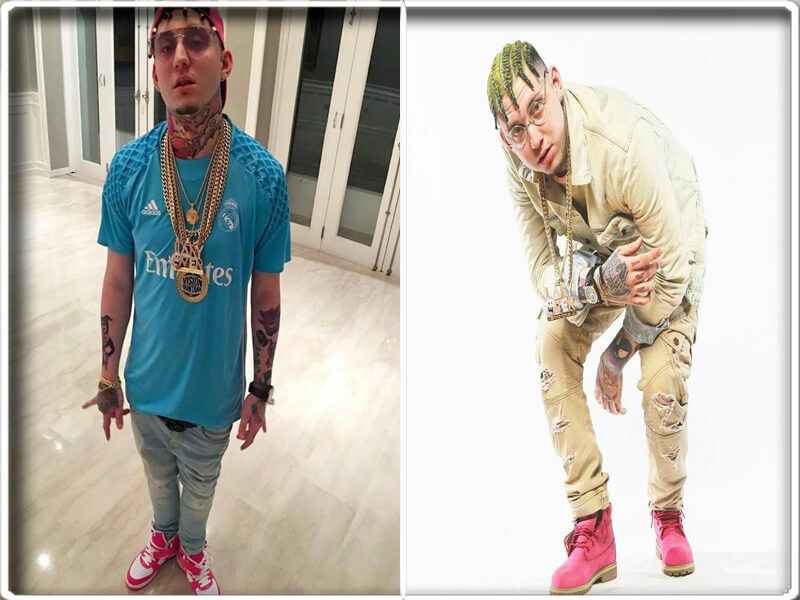 'The Joker' of Trap, currently belongs to the musical company Carbon Fiber Music, which leads Farruko, who has also sponsored Lary Over in his musical career. With its new single, 'Medusa', Over has become a trend in social networks, with very few weeks on YouTube his video has surpassed 5 million views. 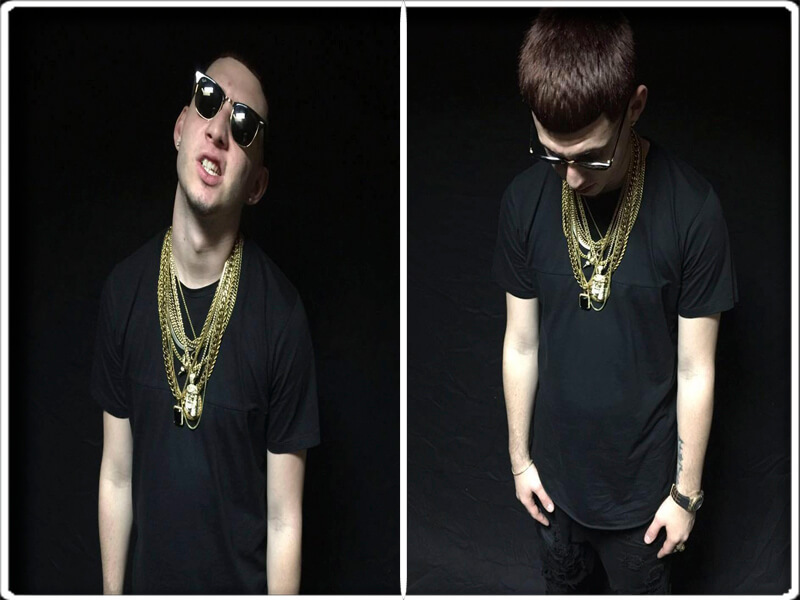 Currently Lary is on the 'TrapXFicante Tour' in which they are also Farruko, Ñengo Flow, Jacob Forever among others, who are performing in the United States. They recently acted in New York and Miami and they still need to visit places like Chicago or Los Angeles since the tour ends on September 10th. Also, Lary Over has achieved to be the focus of fashion for his colleagues for his constant changes of look, divers haircuts, and different colors in his hair. Due to his anarchic attitude it was expected that his fans in his beginnings will begin to call him 'The Joker', the archrival of Batman in the DC Comics franchise. "It all started when I painted my hair turquoise, and when I took the picture, the hair came out green, and as people know that I’m extroverted, began to say that I looked like to The Joker, and I thought, this is going to stay, Lary Over, ‘The Joker'", commented the Puerto Rican artist about his nickname. 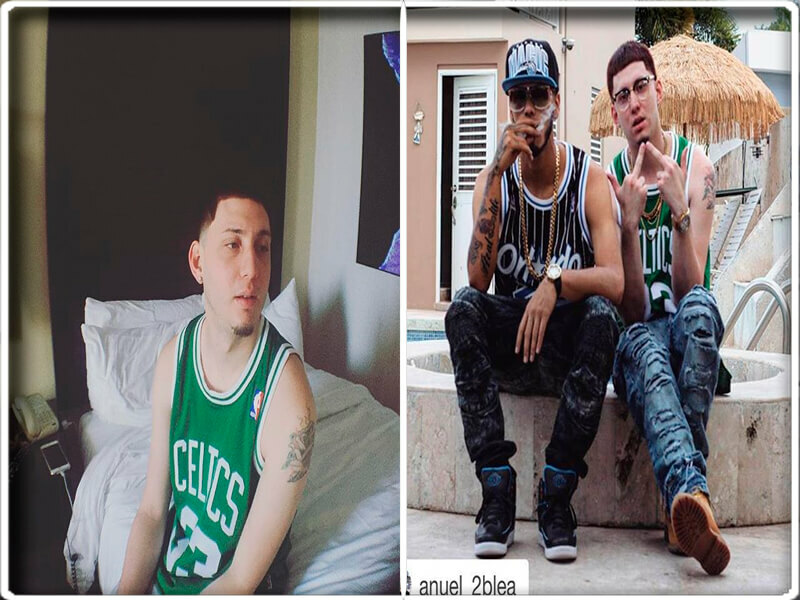 Let's look at some changes in the look of one of the artists of the urban genre with greater projection today, and has achieved to influence some colleagues like: J Balvin, Farruko or Bad Bunny. In his beginnings, Over knocked on the door of several record labels, including Mas Flow Inc, record label of Luny Tunes, unfortunately he didn’t get an answer until he ran into Farruko. At that time, was normal to see him with a much more rapper look and wearing basketball jerseys and with his light brown hair. 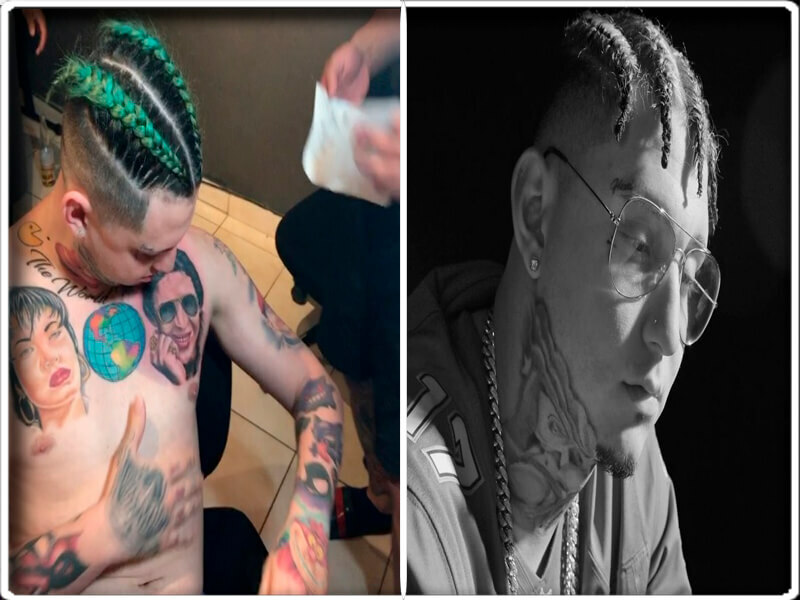 Already under the baton of Farruko, Lary Over dyed his hair in black and began to tattoo, something that would be the common denominator throughout his musical career, also the use of dark glasses began to be trademarked by the artist. By early 2017, ‘The Joker' decided to use some black dreads. Lary Over is a fan of soccer, therefore, is usual to see him wearing different shirts from teams like Real Madrid, New York City or the coat of Colombia Selection. 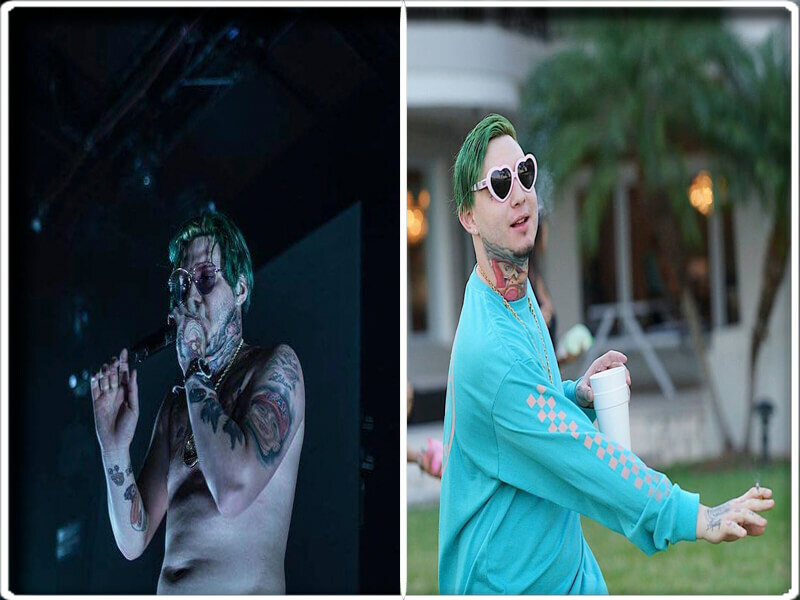 In April, Over began to dye his hair of green color, to resemble more and more to his nickname of ‘The Joker', the sunglasses disappeared to have glasses similar to which the ex-Beatle Jhon Lenon used. Not to mention that the tattoos have always accompanied the artist, in his right arm has tattooed a Harley Queen, wife of The Joker, and in his chest has the singers Selena and Hector Lavoe, because they were the favorites of his mother and his grandfather respectively. In his most recent outfit, the Puerto Rican continues with his green hair, however, the small dreadlocks disappeared to give way to a smooth hair and shaved from the sides. This last outfit has been fundamental to promote his album 'Medusa', in which appears a baby disguised as The Joker playing with a snake. We hope that Lary Over keep revolutionizing the urban genre, not only with his music, if not with his performances and videos that are trend in social networks, his more than 850 thousand followers in Instagram prove it, we will see what will surprise us ‘The Joker' Of Trap.